Sunday, August 5 | Gates open at 3 p.m., and game begins at 4:05 p.m. 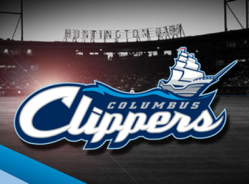 The Columbus Clippers invites you and your guests to a CTA event for their game on August 5 at Huntington Park! Bring your friends and family to enjoy the game, Columbus Clippers vs. Louisville Bats. Gates open at 3 p.m., and the game begins at 4:05 p.m.
Tickets are $15 each which includes a game ticket and buffet of hot dogs, wings, fries, pretzel bites, sodas and water. Food is first come, first serve. The buffet will take place in the Clippers Craft House (the recently renovated third floor of the AEP Power Pavilion) with seating in the AEP Tower bleachers. Tickets must be ordered in advance via the Clippers box office before August 1 at 5 p.m. CLICK HERE FOR TICKET INFORMATION. Please refer to this ticket order form to place your order. Phone orders with a credit card are preferred. Call (614) 462-2757 or fax the completed order form to (614) 462-3271. The registration deadline is Wednesday, August 1 at 5 p.m.
Tickets are $15 each plus a $2 surcharge per order. You will check in for the game at the LEFT FIELD entrance. Photo ID is required. Please direct your questions to the Clippers box office at (614) 462-2757 or email Kevin Daniels, CTA: KDaniels@clippersbaseball.com. For more information about the Clippers or Huntington Park, please visit www.clippersbaseball.com. Dress is casual. Don&apos;t forget to wear your CTA pin. Please use #ColumbusCTA and #lifeincbus in your posts from this event!